In rare cases it happens that an exercise ball, sitting ball or bouncing ball gets a hole or crack. In most cases, you can patch a bouncy, sitting and exercise ball. Before you can do this, you need some preparation. Exercise ball patch – why tear a exercise ball, a sitting ball or a bouncy ball? A exercise ball gets only a hole or tear when you roll with the ball on sharp or pointed objects. Common causes of a hole or crack are tears or shards. It can occur especially with a bouncing ball, because it is often used outside the own four walls. Otherwise such a ball will not get a hole or tear. Place the ball and it immediately loses air? High quality balls do not burst. They have the property of closing a small crack or hole. As a result, they lose the air only slowly. This is, of course, only the case for light “injuries”. Large and long cracks are of course not closed. The ball will not burst. In the worst case, it will lose its air very quickly. 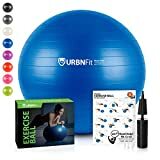 Can you repair a seat, bounce or exercise ball? It depends! Holes and small cracks can usually be patched, but not long cracks. The reason is the size of the available patches (for example, larger than twenty centimeters). How to mend a ball, we will explain in 6 steps. How do I repair a ball? If the hole is not visible, turn the ball in a shallow water-filled bowl until air bubbles rise. Now you must degrease or clean the damaged area and dry. Place the patch on the hole so that it is well covered and mark the outline of the patch. The repair kit usually contains a small file or some abrasive paper. This will rough the area within the mark. If you do not perform step three, you get the unsightly effect that the area outside the patch does not look very nice. 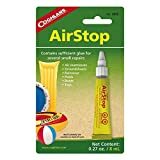 Read the instructions for the usage of the adhesive and apply the adhesive as described in the repair kit. Glue the patch to the marked area and press it firmly. Which repair kit can I use? You can use a repair kit for inflatable boats. The patches are robust and durable. Bicycle patch also works, but is not quite as strong.